Content Copyright © 2013. All Rights reserved. 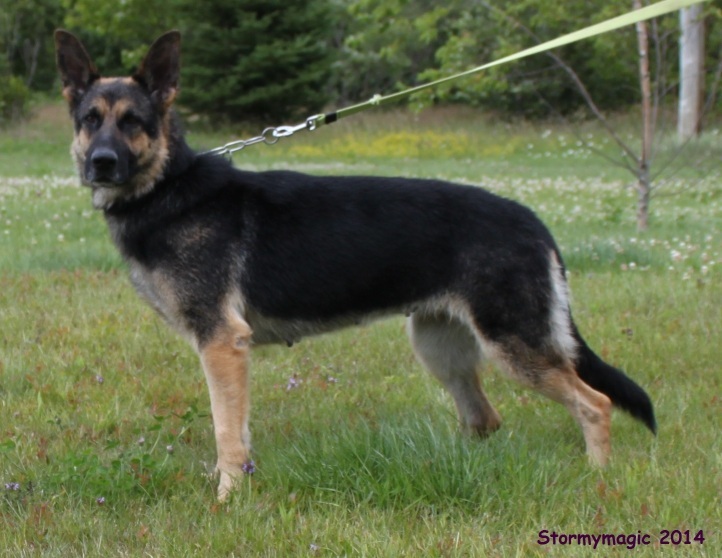 Bella is the daughter of Pike vom Fuchsstein and Stormymagic's Farrah. She is a granddaughter of 3X WUSV (1st in 1999, 2nd in 1998) Tom van't Leefdaalhof, Great Granddaughter of 4X WUSV Qerry von Haus Antverpa and 4X WUSV (2nd in 2000) Troll vom Haus Milinda, Great Great Granddaughter of 6X WUSV (1st in 1992 & 1996, 4th in 1993) Orry von Haus Antverpa and 3X WUSV (1st in 1993) Natz vom Tegelhouse and Great Great Granddaughter of 2 X WUSV Champion (1st in 1989, 2nd in 1990) Fado von Karthago. 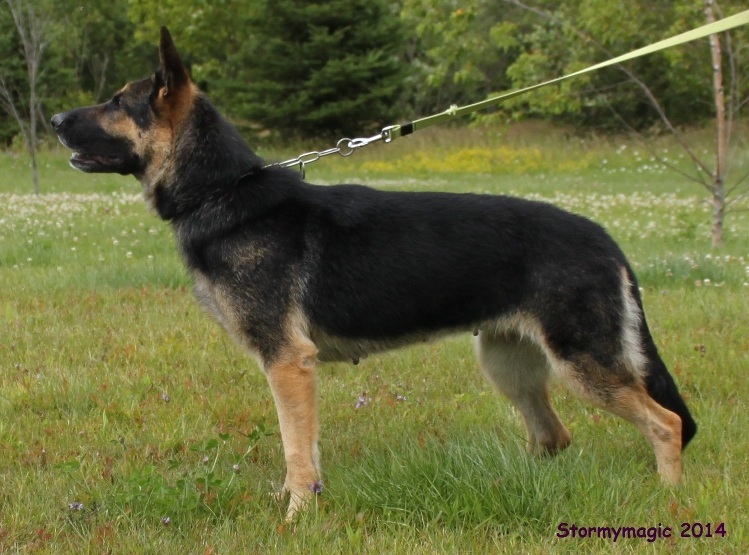 Bella is a standard size (58cm,70lbs) black and tan female from German bloodlines. 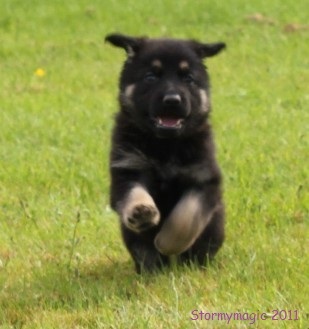 She is very agile and lightening fast with a super temperament and solid nerves. She also has a very high ball drive. 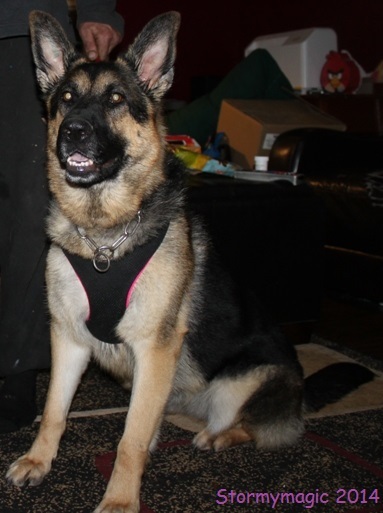 Bella loves children and excels at personal and property protection. 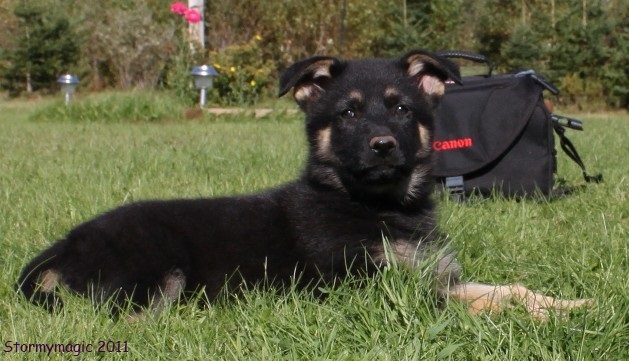 Black and Tan with distinctive markings and very rich pigmentation. 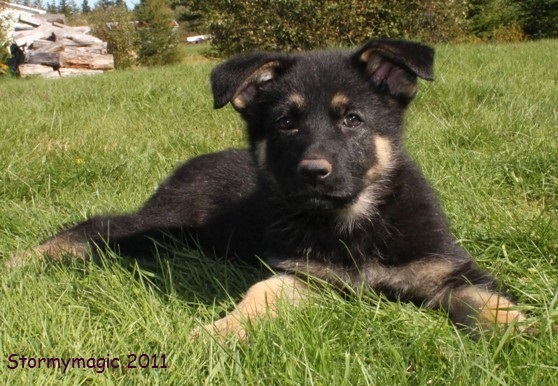 Pedigree consists of many top winning working line dogs that demonstrate sure and confident temperament, willingness to perform and natural protective instincts. Bella is house trained and crate trained. She has been raised in the house with young children. 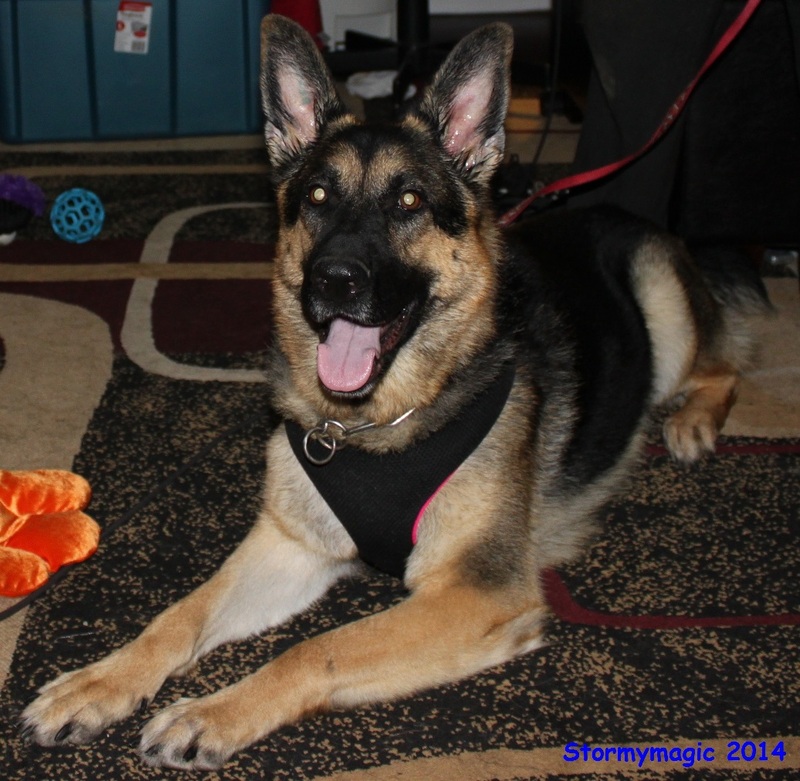 Bella is also crate trained and has had some obedience training (in French & English).